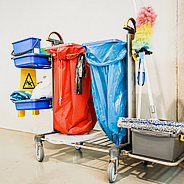 Accurate provides daily janitorial services and building maintenance to various types of facilities. All our green Eco-friendly services are customized in order to meet our customer’s needs with a focus on providing a level excellence at each of our client sites. Cleaning done right the first time!.